Summer is like a swallow was released 9 th of november at KAIP on Vinyl and on digital platforms. It is a musicalbum by swedish singer-songwriter and producer Sara Forslund who is based in Stockholm. In august 2016 Forslund started the recordings of her second soloalbum “Summer is like a swallow” where she has reconnected with Nick Drakes producer and soundengineer John Wood who this time also has coproduced. Another new collaborator on this album is twice grammy nominee Johan Eckeborn. Another familiar collaborator is the multitalanted Gustaf Spetz. Due to a large amount of back taxes Forslund had to cancel the studio she first had booked and instead proceed with the recordings from her home. She says; This album would never have been possible without the support from John Wood. He has been there from the beginning of this process giving me useful advice along the way (anything from how to isolate the sound to which microphones to use). When I could not afford the studio I first had booked he sent me recording gear so I could proceed with the recordings from my kitchen instead. That is where all my vocals and main guitar takes have been recorded. If you listen carefully you can hear the raindrops beating against my window on ”Summer is like a swallow” or the creaking chair in the beginning of ”Lily and the grave”. The reality for many artists today is that they no longer are able to live on their music. One million sold records use to generate 45000 USD to the songwriter now one millions streams generate around 35 USD that is a loss of 100%! 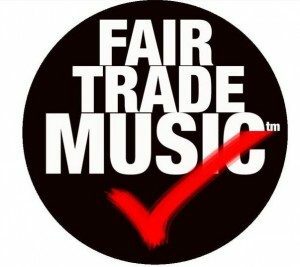 (Lalonde 2014) This is why I engage with Fair trade music and why their work is so important. Sara Forslund (1981) was born in a small village called Borgvattnet in the northern part of Sweden. Borgvattnet is known for its haunted vicarage. At that time, Sara’s father Tore Forslund was the local priest and was nicknamed `The ghost priest´ after offering to relieve the village of its ghosts that were said to reside in the old vicarage….As a young girl Forslund would often sing religious hymns toghether with her family on the streets of Sweden. She has performed her songs in places such as England, Ireland, Scotland, Netherlands, Australia, New Zealand and Sweden where she also did a few prisongigs at Hällbyanstalten (Eskilstuna) 2009. In 2012 she visited a show of Glaswegian singer-songwriter Gareth Dickson that completely struck her and changed her path. The fullness of just one acoustic guitar, a story and low-voiced vocals was something that resonated deeply within her. His dreamful voice inspired her, so gentle one could hardly hear it but rather feel it, like a sweet breeze passing by in the desert. Never too strong but always comforting. On top of that, Dickson also introduced Sara to Nick Drake’s music and just a few weeks later, ‘Water Became Wild’ saw the light of day, which felt like coming home after a long period of drought.